3 years & up. Aspiring drivers can add more movement to any Block Science Foundation Set with this set of 2 cars. 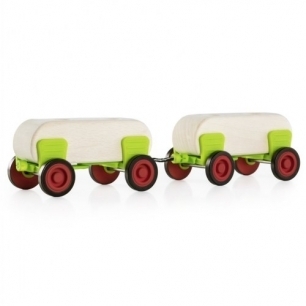 Over-molded plastic wheels clip onto smooth sanded rubberwood car units with seats for both a driver and passenger. Use the secure hitches to make an extended moveable unit.